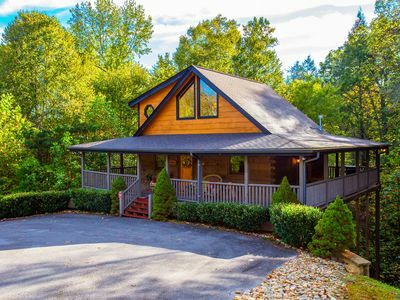 This four bedroom cabin near Dollywood in Pigeon Forge, Tennessee is only five minutes away from the parkway. Are you looking for the best place to host a large event? 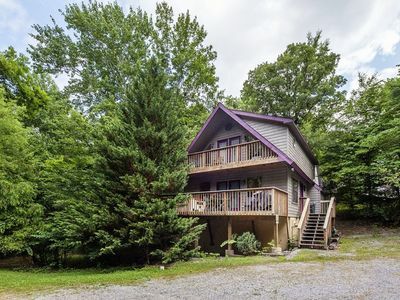 Somewhere that you and your large family can actually fit into? 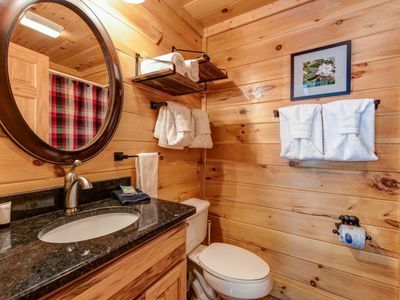 Whatever your reasons for looking, you’ve found the perfect four bedroom large cabin In The Still of The Night. 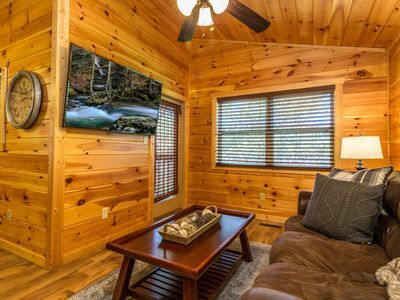 Amazingly enough, despite the proximity to the parkway, it’s still a very private cabin and intimate atmosphere.In the Still of Night is a spacious, large four bedroom cabin in Pigeon Forge that has recently been remodeled and is in pristine condition. The four bedrooms are each big rooms. 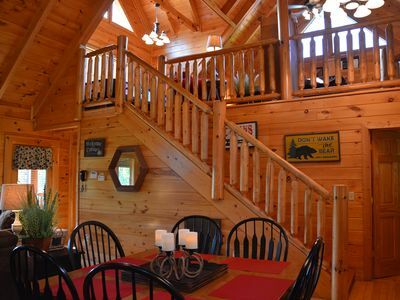 There are two and a half bathrooms, and this cabin rental can sleep up to twelve guests! 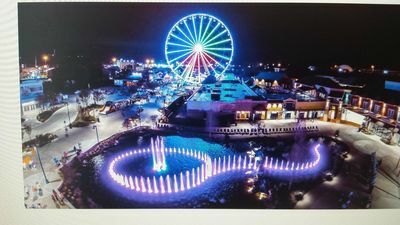 So, if you have a big family, this is the place to vacation. 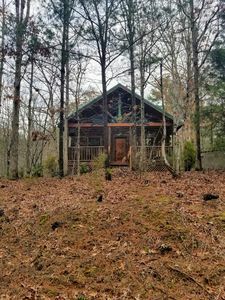 If you're looking to find a Pigeon Forge cabin close to Dollywood. 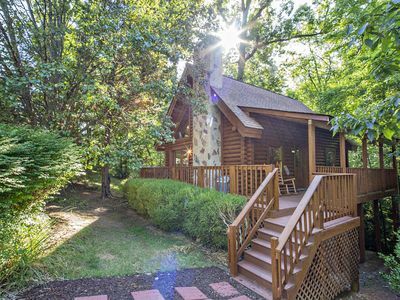 You have found the best cabin as it is located only five minutes from the Parkway. 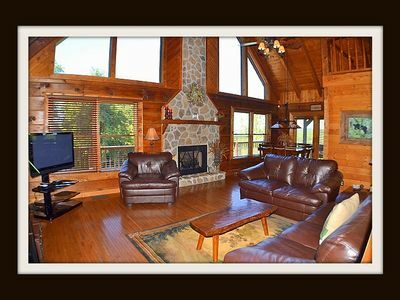 This vacation rental is close to shopping, the Island, Splash Country, and all the great restaurants available. 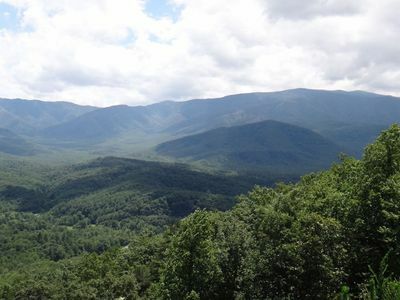 It’s also close to downtown Gatlinburg, only six miles, so you will have plenty to do while staying at In the Still of the Night. The entry level has three of the available bedrooms. One of these rooms has a king-sized bed, and the other two are both fitted with comfortable queens. 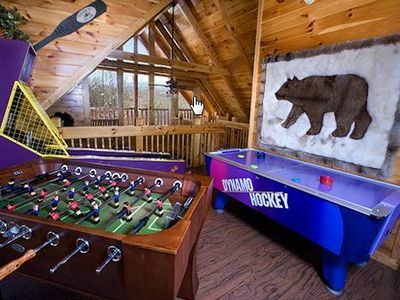 They are all stylishly decorated and have televisions. If you’re the sort of person who likes to watch the news in the morning, or a comedy late at night, you have a TV. There are also two full baths on this level. 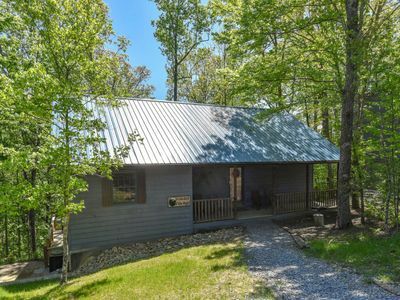 The downstairs of this four bedroom cabin rental has a huge living area with comfortable furniture as well as a floor to ceiling stone fireplace. In the corner, you will find the arcade video games for children of all ages. The large kitchen has plenty of room to cook. Just in case you’re on a budget, or have other things to buy, or even if you just prefer home-cooked meals, this kitchen is perfect for preparing meals for large crowds. There is a connected dining area, so you can sit down and eat together. 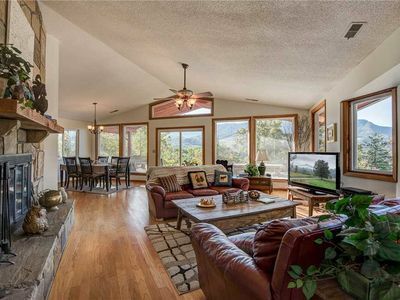 There is a very comfortable screened in porch that’s just off the living area as well as off the deck. 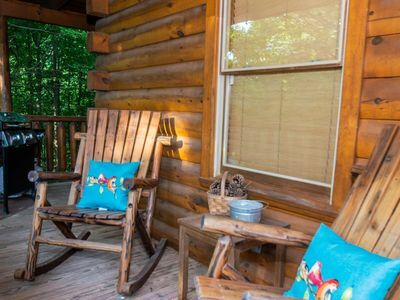 Most of the deck is open, so you can sit with all your friends and family grilling up those steaks or burgers. 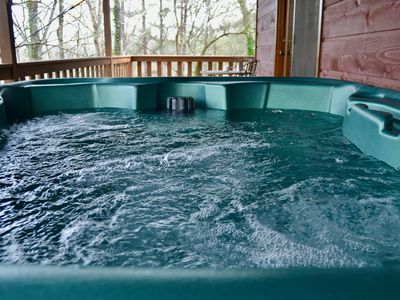 The covered part of the deck holds the hot tub, so you can sink into hot, bubbly water after a day of exploring everything that Pigeon Forge, Tennessee has to offer. 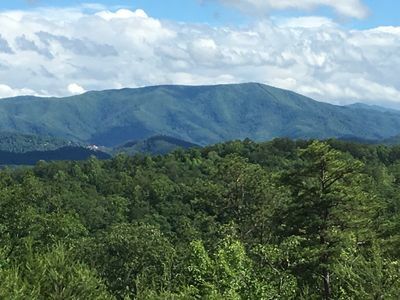 Come during the spring and summer months and enjoy the lush variety of greens that adorn the mountainsides. 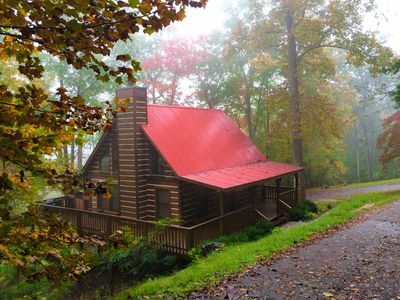 Show up in Autumn when the lush greens begin their transformation; starting at the peaks of the mountains and working its way down to the valleys, the greens fade into gorgeous reds and golds. It’s a view that words can’t describe. 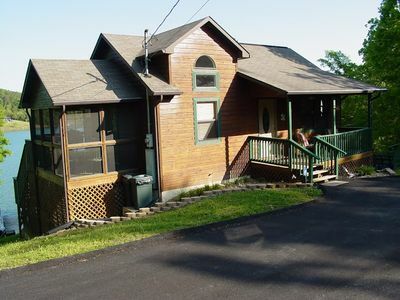 Come see this cabin rental in Pigeon Forge Tn. for yourself. 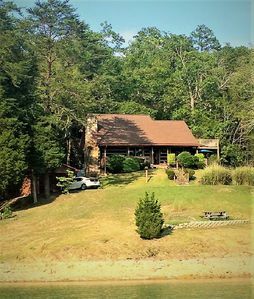 15% off for Whole Month of February- Click Here for Details- ER45 - Critters nest - Great location...Just across from swimming pool! 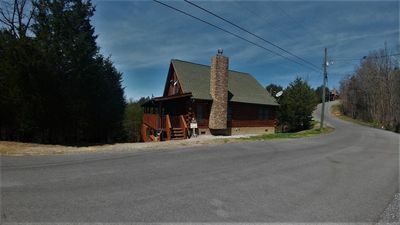 Great Family Retreat in a resort setting close to all the attractions! 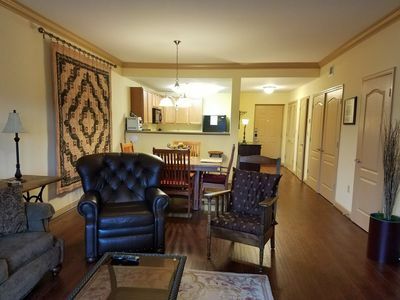 CONDO: 1 KING BR , QUEEN SLEEPER SOFA, PRIVATE WIFI, POOL, NEAR THE ISLAND!! !